It’s an idea that seems so obvious you’ll wonder why drunk 21-year-old you didn’t think of it one night at 2 a.m.: The Dr Pepper Milkshake. An ice-cream drink made with the soda of 23 flavors is the newest feature from Burger King. According to the fast food chain, this new limited time menu item is “a rich and creamy treat, hand spun with the one of a kind flavor of Dr Pepper.” Whether that sounds like an amazing dessert or like someone accidentally spilled Dr Pepper in the shake machine is probably a matter of personal taste, but it’s certainly a more unique offering than Burger King’s other new shake: the Oreo Irish Milkshake. It's already getting called out as a rip-off of the McDonald’s seasonal Shamrock Shake that the Golden Arches release every year around St. Patrick’s Day. But at least creating a shake around St. Patrick’s Day helps explain why a restaurant would choose to put out new ice cream treats in February—possibly the coldest month of the year. According to a press release, the new shakes are meant to pair with another new menu item: Jalapeño Chicken Fries. “And if our Jalapeño Chicken Fries get a little too hot,” a spokesman states, “our Dr Pepper Shake or OREO Irish Mint Shake is the perfect way to cool off.” Hey, know another great way to cool off? Go outside. It’s winter. 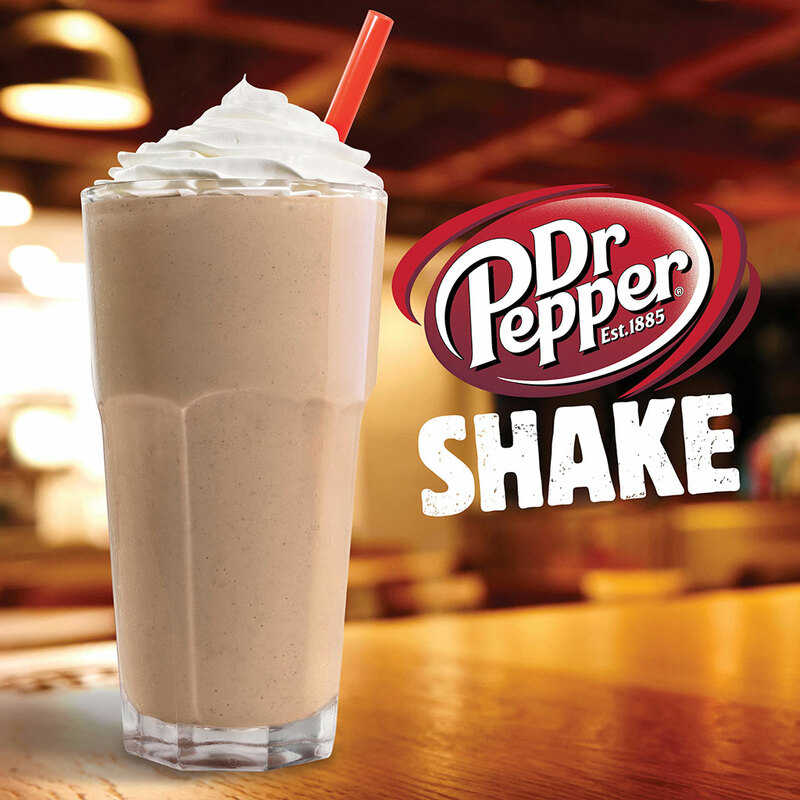 Still, if you love Dr Pepper and have had a hankering for a soda-based shake, BK has got you covered. At the very least, I bet it tastes better than a Sprite milkshake.